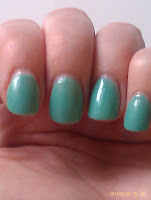 I'm forever buying nail polish colours that look great in the bottle but then they disappoint me when I have applied it to my nails (maybe I just expect too much from the nail polish, idk). The most recent polish that didn't live up to my expectations was Rimmel's Misty Jade. 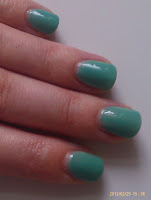 It was far too light and luminous for my liking and instead of letting it go to waste I decided to create a franken. I wanted to create something alittle darker and creamier, so I thought it would be fun to try to replicate OPI Mermaids Tears. I don't think it's too bad for my first franken but I will be more creative with colours when frankening in future. Here's the result! 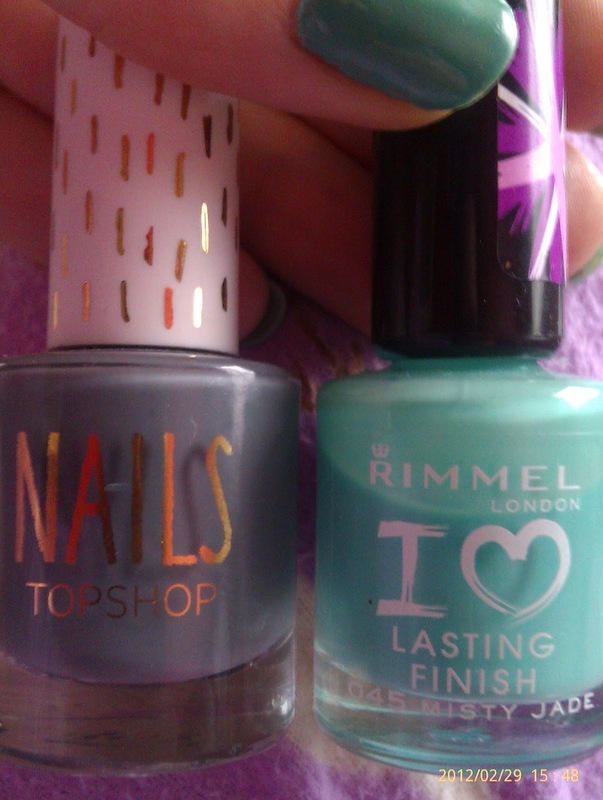 These are the two colours I mixed - Topshop Nails in Cloud + Rimmel's Misty Jade. I actually used quite alot of Cloud, but its not that obvious. Let me know what you think of the colour. 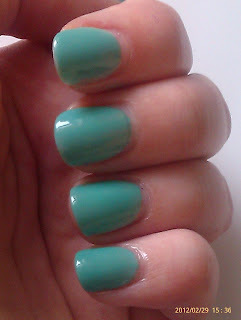 Is it anywhere near to OPI Mermaid Tears? What do you reckon? I love this. It looks like it has a great consistency. I think this is gorgeous! This looks very much like Mermaid Tears, but it's a tiny bit more blue. I would buy it!